What is truly impossible? 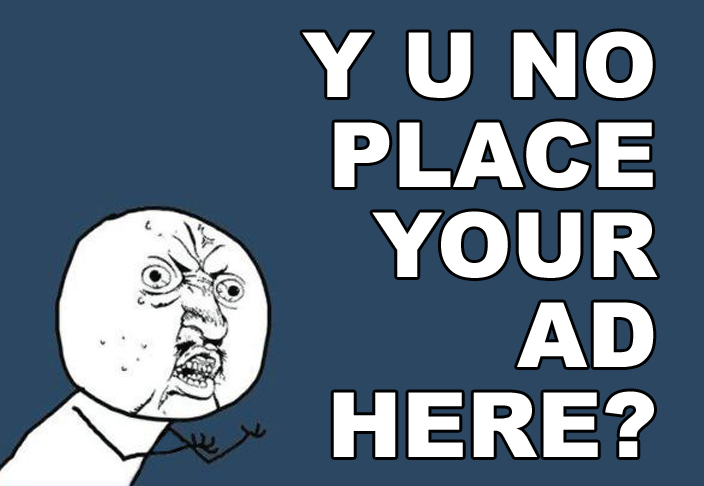 Licking your own elbow? Yes. Teach goldfish to play clarinet? Positive. Code and launch a decentralized blockchain platform that smokes AWS, IBM, Oracle, Microsoft, Ethereum? Done. And bring it to the mainstream? We'll see about that. There's a new promising testnet release, Jelurida's Lightweight Contracts hackathon is ongoing, team members are in Malta discussing Full BaaS versus Cloud BaaS solutions and pitching Ardor, others are laying final hands on the next Ardor mainnet release, which will push Lightweight Contracts to the mainnet and launch Dominium's real estate child chain. From the community, we have Nxt and Ardor mobile wallet updates, Nxter puzzles with IGNIS prizes, and the RYA team growing, warming up to their mainnet release and a 1:0.4 airdrop to NXT holders. Oh. And then the world's first property bond on blockchain was just launched on the Ardor powered Dominium platform. On Friday 12:00 CET Jelurida released a MANDATORY upgrade for testnet nodes. - The average block time will be reduced to 10 seconds on testnet, after block 455000 to allow faster testing and development and to test the feasibility of reducing block time should the need arise on mainnet. All existing [Lightweight] Contracts will have to be redeployed on testnet and contract runners using a previous version won't be able to run contracts deployed using the current version. 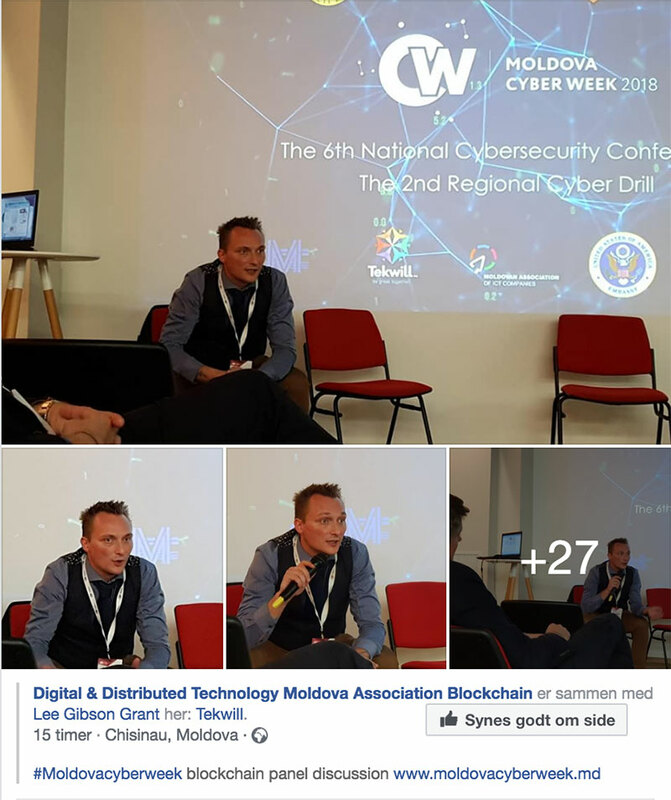 "We had 30 people in the room, most of them from several minister departments of the government in Malta, few students and one startup. This was a private event for the MITA people. We are looking forward to the event of this evening where there are over 50 people inscribed." Prime Minister Honourable Joseph Muscat kicked off the event which is packed with great keynote speakers, networking events, ICO pitches, a hackathon, and an award show - among other things. Jelurida is ready to help at booth 260, so maybe McAfee should drop by and discuss clones? 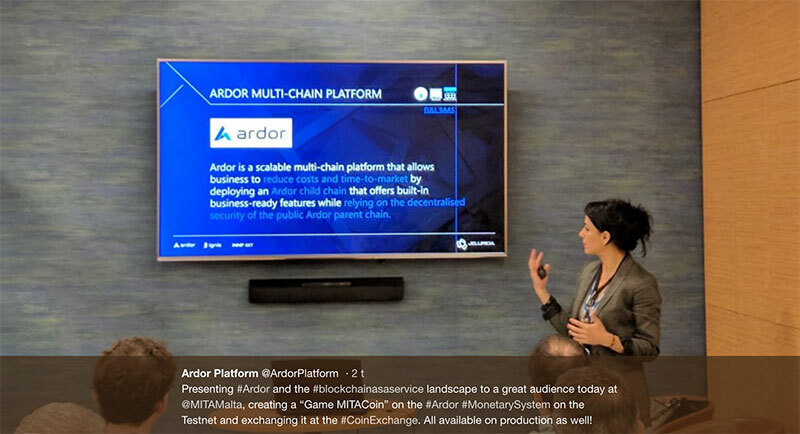 Lior Yaffe explains the security measures taken by Jelurida before the launch of Ardor's Lightweight Contracts framework on the mainnet. Your funds are safu, as Lightweight Contracts execution is not part of the blockchain consensus. 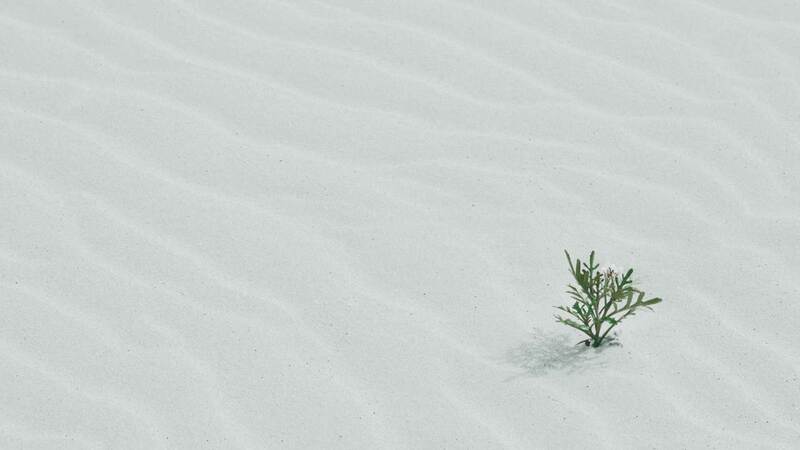 As a contract runner, your node is safe because Lightweight Contracts run in a "protected sandbox, which protects the local node from any malicious activity attempted by the contract". Jelurida did not invent this security system but has built in one of the already proven security frameworks available already - the Java enterprise-grade security model, JAAS. "...we chose to integrate the Java permission system into the internals of our code. We trust the Java engineers and the 20-year legacy of mission critical Java applications to provide the best possible security framework for our contracts." "To reach the full potential of the technology, we would like contract runners to run contracts developed by 3rd parties they do not fully trust. Supporting this would provide an “App Store” like marketplace experience for contracts, where any node runner can choose to run any contract without having to trust the developer of the contract much the same way apps run on smartphones." Read more in Lior's post here. All Nxter Puzzles are listed on nxter.org/puzzles - some are still unsolved and with IGNIS to be claimed. 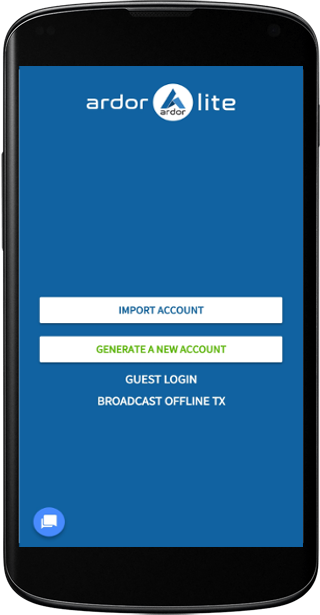 There's also an online web version available at wallet.ardor.tools, the code is open source and will be reviewed by Jelurida. NxtWallet is a multi-coin wallet, developed by community member Zhang, originally for the Chinese Nxt and Ardor community, but the app has an English version and has met adoption outside of China too. 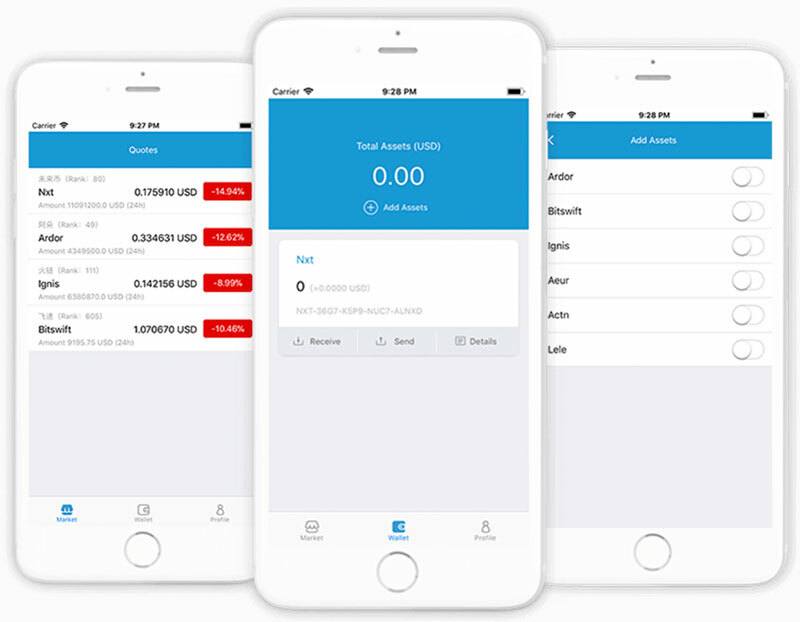 WalletNxt is available on Google Play for Android devices, and on its website, Zhang is also offering an online version, a desktop version for Windows and Mac, and an iPhone version, which can be downloaded and installed at your own risk. Compatible: Android 5.0 or below. If you are unable to use the normal version, please use the compatible version, the compatible version cannot use the scan code function. NxtWallet supports NXT, ARDR, IGNIS, AEUR, BITSWIFT, plus a number of selected Nxt clones, currently counting: ACTN, MTR, HEBE, APL, MOTIV, EAC, and RYA should be upcoming. 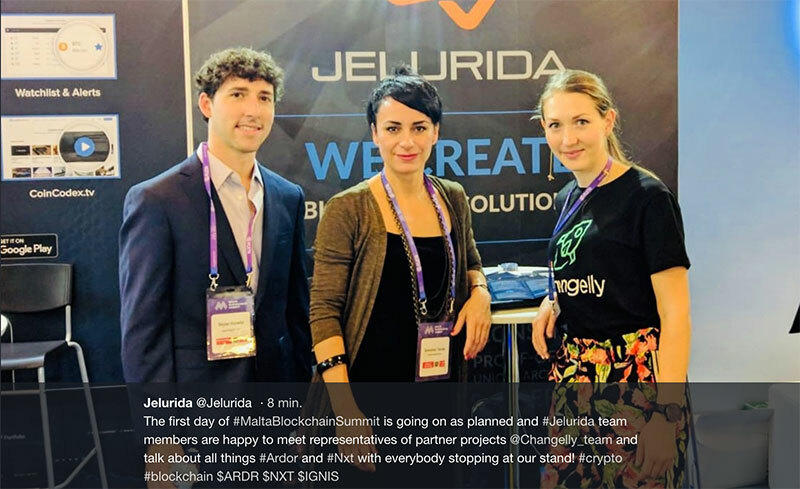 Meet Jelurida and the ArdorNxt Group in Malta. Adedayo Adebajo will be speaking at the first West African Cybersecurity & Blockchain Technology Conference in Lagos. Last week Ardorgate's banking partner Mister Tango announced that due to contract cancellation with their current payment card provider, Mistertango payment cards are de-activated and no longer working from November 1, 2018. OK, long story short. Because MT is too crypto friendly, their Mastercard service provider cancelled their contract. Just like that. But the good news, they are working with the new provider, a new card will be available in near term. This does not affect Ardorgate users. Your fiat funds are safe, your AEUR tokens on the blockchain are safe (of course), and the Ardorgate EUR < - > AEUR gateway works as always. New cards can already be pre-ordered in your MisterTango account dashboard, on the mobile app or their website. All users who sign up for pre-orders will receive a 1 month's free Personal+ plan, worth 4,99 EUR, they write. The AEUR token from Ardorgate can always be exchanged 1:1 for Euro through a 3rd party bank, Mister Tango. With AEUR you can transfer money cheaply, crowdfund, trade, or have an ICO in Euro - decentralized on the Ardor platform. With Ardorgate and a Mister Tango Mastercard you can spend ARDR, Ignis and other child chain tokens in shops. Max Property Group has launched the world's first property fund on blockchain, Dominium announced. Dominium users can subscribe to the fund online, pass KYC procedures digitally, purchase regulatory compliant property bonds from as little as €1,000, and once the fund is fully subscribed, trade the tokenized assets with other users. On November 10, Dominium's ambassador in Nigeria, Mr. Kingdom Linus, will be representing Dominium at the West Africa Cyber Security & Blockchain Conference in Lagos, Nigeria. Tickets are free, and interested parties can schedule a private meeting, with limited slots available. "Dominium utilizes Ardor to establish a fully transparent blockchain based real estate platform. “Having closely followed several blockchain technologies from conception, including Ethereum, we strongly feel that Ardor is the platform with the best features for our business, especially the controlled trading of assets” says Joost de Kruiff, a Dominium Blockchain Advisor. The child chain is expected to be operational in over 120 countries by the end of 2018". Dominium will become a marketplace for property sales and rentals, and will also register property management activities, thus creating a fully transparent historical chain of information, serving tenants, buyers and investors alike. Dominium will also allow third party fund creators to set up property funds with standardised documentation, under an umbrella licence. The Dominium child chain will be released on November 30. DOM token will be tradable on the decentralized Ardor Exchange immediately after its release. You can buy DOM tokens from the ICO, or earn DOM tokens by referring. Sign up and start earning. You can also read a review of Dominium's child chain project in Nxter Magazine. Vivien wrote this article about the advantages of tokenizing software licenses. You can buy CiviX shares at 0.50$ till 31st October. After that they will increase to 0.75 and 15 days later 1$. Anyone that buys on the pre-funding rounds will also recieve DTMI tokens as a reward on top of the shares purchased. There will be an AMA (Ask Me Anything) session in early November - Date TBD, 2018. Rya is getting attention. Besides the folks flocking to their Telegram group to ask questions about the airdrop (keep your NXT in an account YOU control), and RYA price and exchanges (there is no price, no centralized exchange listing, no ICO, the market will decide, etc. ), also more devs have joined the team, and interest in the testnet, project, and its whitepaper is picking up. Good, taking into account that Rya might be run and developed by a talented (anonymous) team right now but that it is also going to be dependent on a decentralized community-run network (remember Nxt?) and participants in the system. For this reason, understanding what the platform is about, reading the whitepaper and visiting their website is so important. Rya is here to make banks obsolete. Not to get a pump on centralized exchanges. How about it. Also, questions about scale, security and how these stablecoins address credit, money creation and other features seen in the fiat economy should be considered carefully." "[Rya's] concept is elegant and seems to promise money supply rate changes as offered by fiat, but in a completely decentralized way while being a better store of value than fiat. Also, P2P loans replace the need for institutional loans seen today. Economically speaking, Rya could exist in a vacuum and be perfectly fine. Rya seems to have the potential to provide a secure, divisible and scalable solution that fits the apocalypse-ready template very well." Rya is based on a clone of Nxt's source code, but its "Proof of Trust" algorithm makes use of 2 tokens - RYA and TRUST.